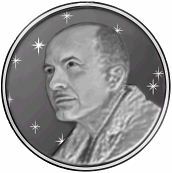 May 8, 1988: Robert A. Heinlein passed away. Who would have thought that 26 years after his death, he’d be used as a war totem in a writers’ feud? Most everyone remembers where they were and what they were doing when they got the news of the attack on Pearl Harbor, when John and Bobby Kennedy were shot, when Dr. Martin Luther King was shot, when the Eagle landed on the Moon, when the Twin Towers fell, when orbiters Challenger and Columbia were destroyed. I also still remember where I was and what I was doing when I got the news Gene Roddenberry had died, and when Robert A. Heinlein had died.